A GROUP of people accused of being members of an illegal cockfighting club have had their charges sent to court. Prosecutors have requested 10 months in prison for each of the eleven defendants, who reportedly organised the fights in a warehouse in Viator’s industrial estate. More than a hundred people were at one fight when police raided it in 2016. Seven young people were also at the fight and spectators were also placing bets on the outcome of the matches, according to reports. Around 84 cages for the animals were found in the warehouse, along with a ring, stands and a bar. Police were able to rescue 17 cockerels during the raid, according to the Guardia Civil. Prosecutors claim the group organised a series of fights in January, February and in the first days of March 2016. The birds reportedly had tape and glue applied to their limbs so that they would be more harmful to their opponents. 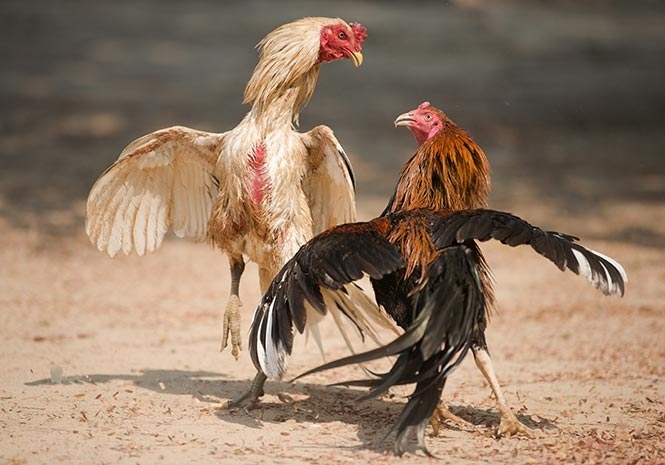 Thirteen roosters had to be slaughtered because of their injuries from the fights and two died after losing both their eyes, according to prosecutors. Andalucian environmental authorities have announced they will pursue sanctions against the group which could lead them to receive fines of up to €30,500. NASTY Real men have civilised hobbies.